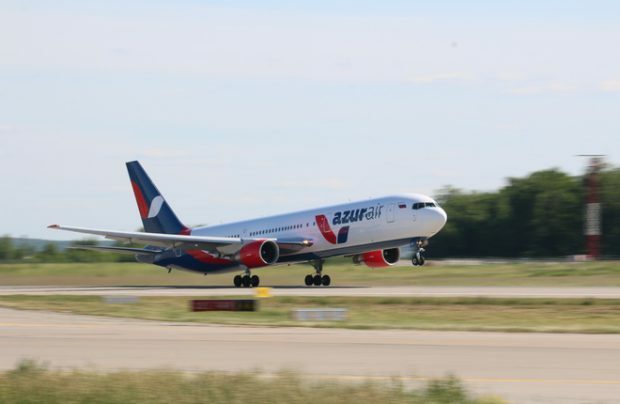 Azur Air, Russia’s largest charter airline, transported 3.77 million passengers last year, recording a 60.7% surge in business. The carrier performed more than 15,000 flights, with revenue passenger kilometers (RPK) up 47% year-on-year to more than 17.88 million. Backed by Turkey’s Anex Tourism Group, the carrier connects 40 Russian regions with 30 popular international tourist destinations. The growth in passenger numbers and RPKs was facilitated by fleet expansion, network development, and an increase in frequencies on medium- and long-haul routes. During the year, the airline received four Boeing 737-800s and one Boeing 757-200, taking its fleet total to 20 aircraft (including eight 757-200s, seven 767-300s, and five 737-800s). Also in 2017, the airline launched international charter flights from another 10 Russian airports, with two markets in particular receiving special attention: Turkey and the UAE. As many as 35 Russian cities are now connected by Azur Air to four Turkish leisure destinations of Antalya, Bodrum, Dalaman, and Alanya. A significantly expanded flights programme to the UAE now links 15 Russian regions with Dubai. The airline launched direct scheduled flights on the Moscow-Dubai route. The development of long-haul routes (such as to Hainan Island in China and to Varadero in Cuba) considerably contributed to the 47% growth in RPK, and Azur Air has also continued its programme of performing daily transatlantic flights from both Moscow and St. Petersburg to Punta Cana (the Dominican Republic). During the year, the popularity of flights to Thailand and Vietnam grew steadily among Russian tourists, the company reports.